This post was sponsored by Better Homes and Gardens at Walmart, all opinions are my own. There are always those people in your life that you really don’t know what to get them for Christmas. They either have everything they want or need, you don’t know them that well, or you just don’t have the time or energy to put forward a truly custom gift. 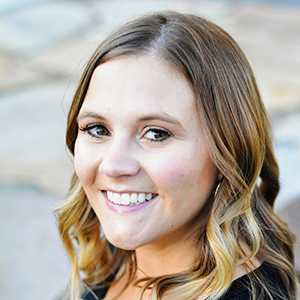 Well I have the perfect solution for you-something custom, thoughtful, and purposeful that will please almost everyone! 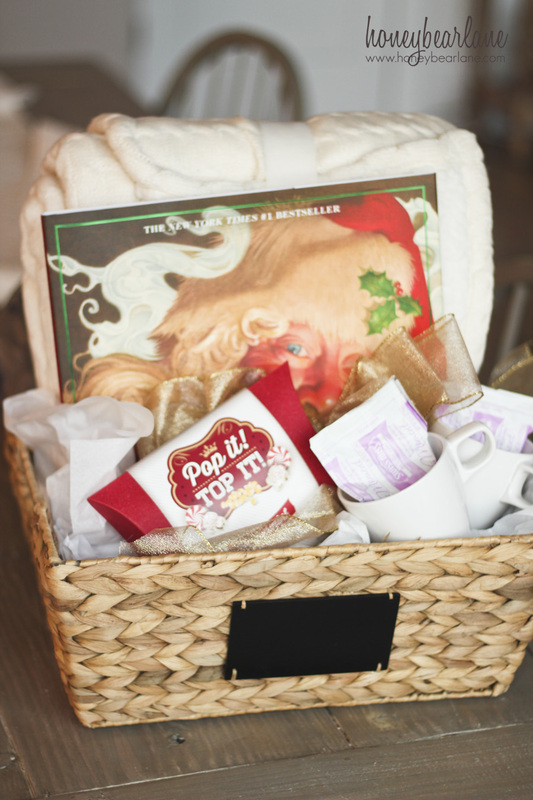 It’s the Ultimate Cozy Christmas gift basket! 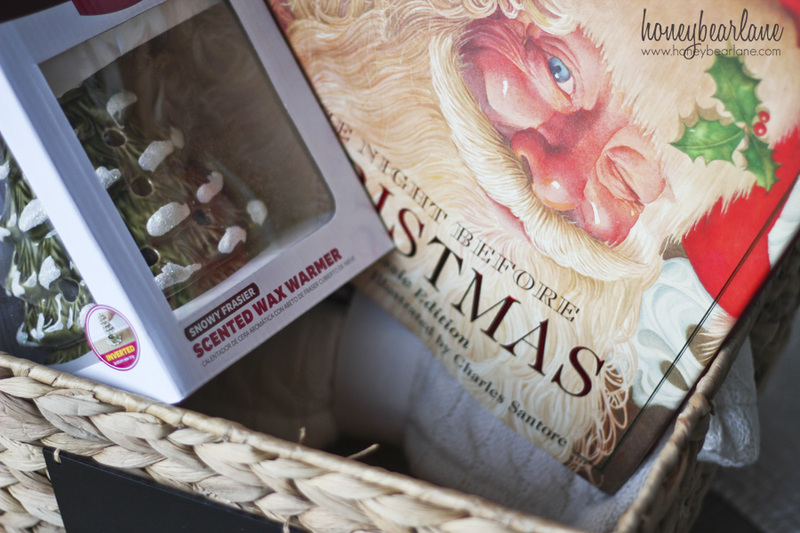 I wanted to put together a gift basket that anyone would love to receive, so I picked out some of my favorite Christmas items from the Better Homes and Gardens line at Walmart. First you start out with a basket, of course. 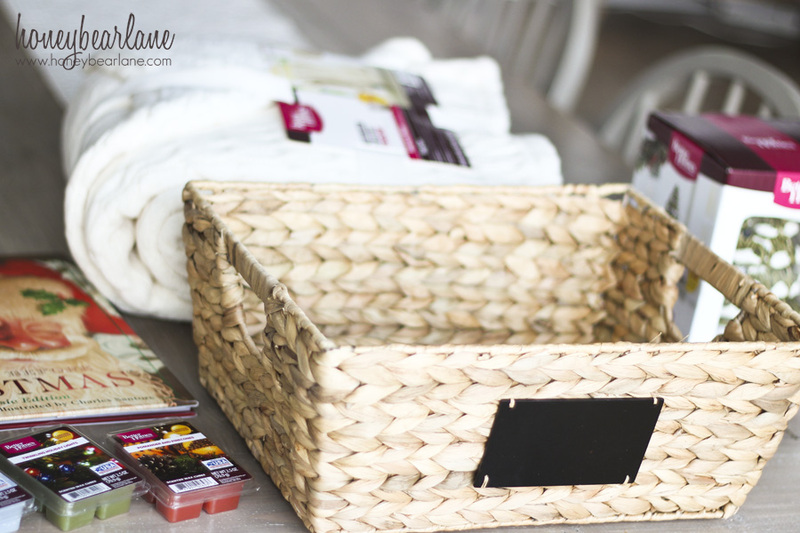 BHG has a huge selection of cute baskets but I chose this little woven one with a chalkboard label on it. 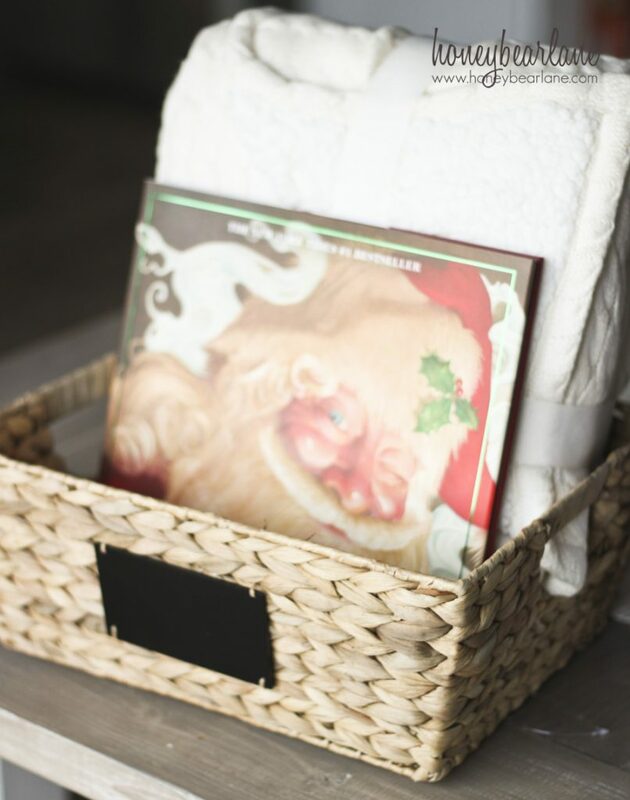 I love gifting a basket that can be used for something later–and this one is perfect for putting anywhere–pantry, closet, office. 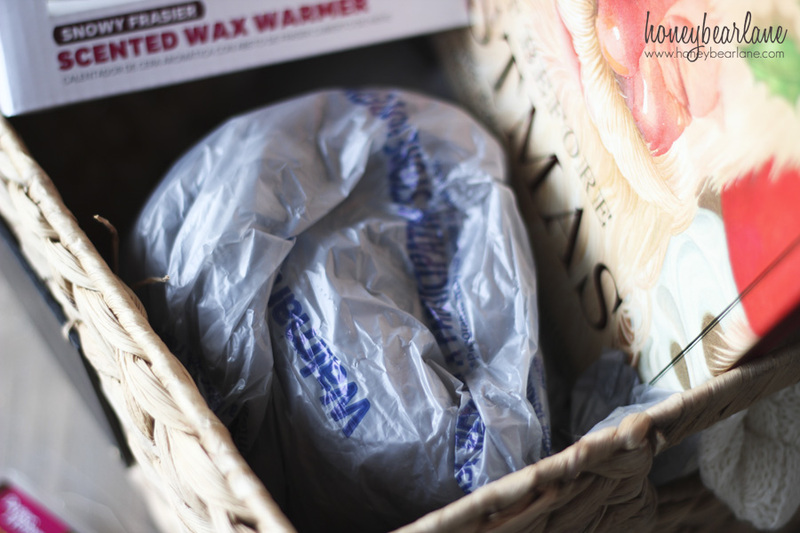 This basket also fit my most favorite BHG item currently–the most cozy and delicious cable knit throw with a sherpa lining. It’s seriously SO soft and comfortable…and super warm. Perfect for cuddling under on a cold winter night. I sat it upright in the back of the basket. The next item is classic and screams Christmas to me: the classic book of The Night Before Christmas. I actually bought it at Walmart.com and it fit perfectly next to the blanket. Everyone loves a great Christmas picture book, young or old. I then added a wax warmer, a festive evergreen shaped one for the season. These are so useful and more effective than candles at aroma. Plus you don’t have to worry about open flames or the chemicals emitted from smoke. I also like that it doubles as a nightlight, making a more cozy and romantic mood for the evening. After adding the wax warmer, I had this big ol’ hole in the basket where I wanted to put the wax cubes for the warmer. But if you just put them in, they will get lost and sink to the bottom. Simple solution: just find some type of packing material-bubble wrap or even a bunch of grocery bags wadded up. Cover it up with some white tissue paper and then you can set your small items on top and they will ‘be on display’. My final touch was to make a bow and add it in along with a little more tissue paper here and there and Tada! 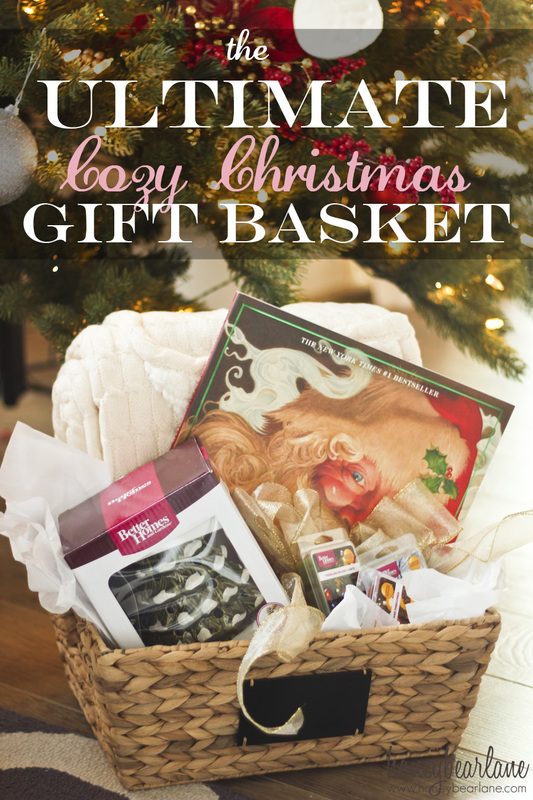 There you have a super easy gift basket that anyone will love. Another option is to switch out the wax warmer for some yummy popcorn and mugs with hot chocolate mix inside. There are actually endless options to this type of basket…just think of all the things that cheer you up on a cold winter night. DVDs of your favorite Christmas movies, yummy chocolates, gingerbread making kit, candles or LED candles, etc. I got to go to New York in October to be part of the Better Homes and Gardens live webcast with Eddie Ross. It was so super fun to participate and be on the show. 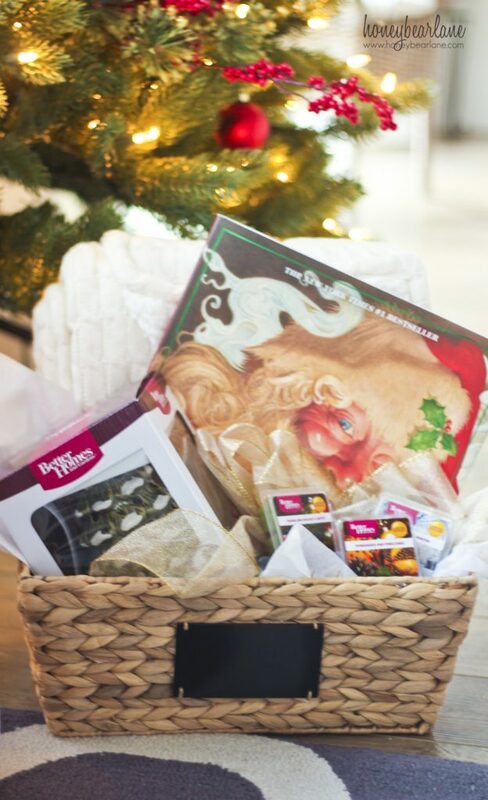 My segment was all about gift baskets too which had some other awesome ideas for gifts. And I totally was inspired by this segment for my Ultimate Christmas Gift Basket. So please watch it if you missed the show earlier and you can see the entire show here. 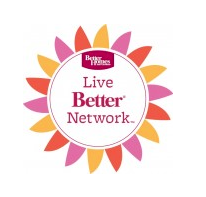 And a big thanks to the Better Homes and Gardens and Walmart folks for all their hard work on this show! I had a blast and loved working with all of them. Okay that’s not quite it–one last thing! 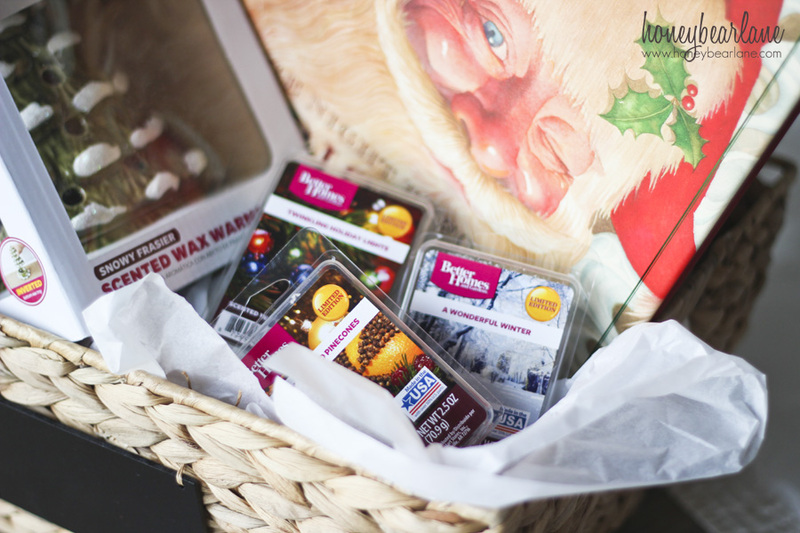 Make sure to enter this giveaway to win a $100 Walmart gift card so you can get started with your holiday gift baskets! I would buy pet items like food and cat litter. I would get candles and rugs. 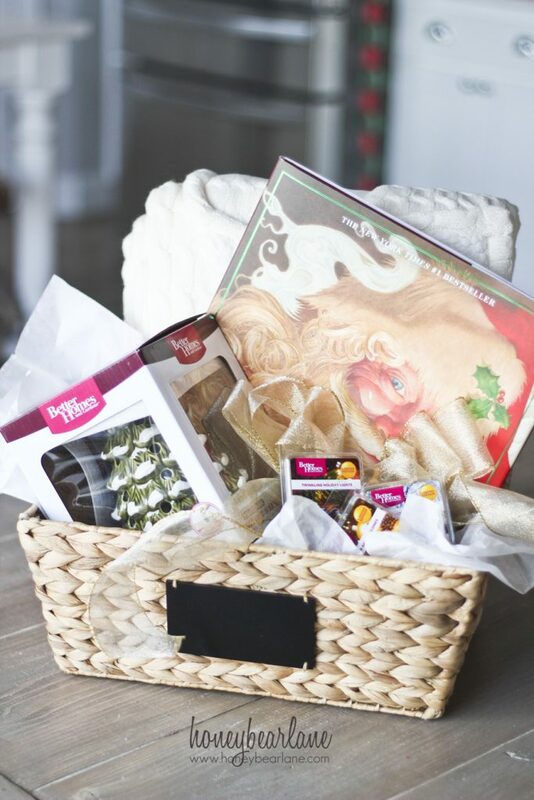 Great ideas, and super gift basket. This is a great giveaway! I would get some new throw pillows and some candles. I would use it on toys for my little ones! I love this basket idea. I would love to make a gift basket like this for my mom! I would probably use this gift card on the after Christmas clearance at Walmart to buy wrapping paper, tissue paper, and outside inflatable decorations. I would buy groceries for our family holiday party and wrapping paper. I would use the gift card to buy some nice birthday presents for my son next month at Walmart-they have great deals on toys. I would get myself a fitbit. It’s something i have been really wanting for myself for a while now. I’d love a popcorn popper and a slow cooker! I would get vitamins and books. I would get a new TV. I would get groceries with it. I think I would buy stocking stuffers for the kids. Oh such a fun idea! I would love to put together a book, blanket, reading basket for my mother! She would love that! I would get new bedding. I would buy presents for my son’s first birthday! I would buy my daughter some books! i would get a new comforter..mine is old and gross. I would put it towards a laptop! I’d get a bedding set for my daughter! I would finish up my Christmas shopping with this gift card! I would get toys for my daughter! I would buy some new pillows and towels.